Is it acceptable to admit that this hat was frustrating? So I feel like the photos don’t do it justice, and I apologize. If you could see what I see, holding the hat in front of you, you’d love it as much as I do. Needles: size 13 (9mm), 16” and set of 4 double pointed needles for decreases at top of hat. 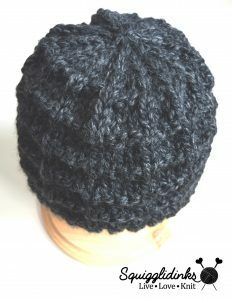 Yarns used: Lion Brand Wool-Ease Thick & Quick (super bulky (6); 80% acrylic, 20% wool; 106 yards/170 grams), 1 skein of Charcoal. 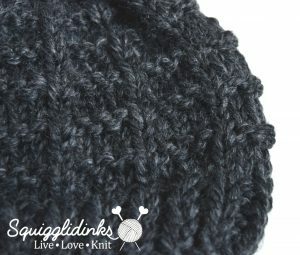 Gauge: 2.3 stitches per inch; 3.5 rows per inch. Other Notions: one stitch marker. Final Measurements: Child/Teen: 21” (Adult: 22.5”; Lg. Adult: 24”). All sizes will be written Child/Teen (Adult, Lg. Adult) in the pattern. Cast on 48 (52, 56) sts. 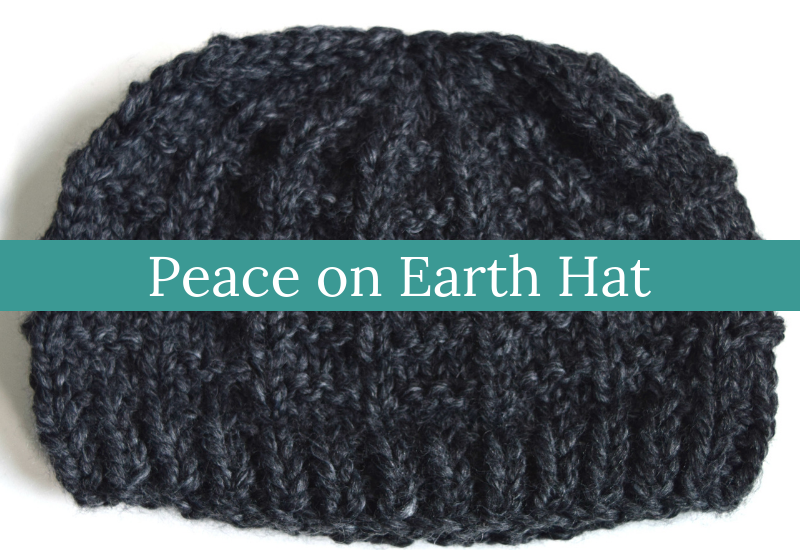 Join into a round, making sure not to twist your stitches. Place marker to mark the beginning of the round. Rounds 1-4: p1, k1, repeat to end. Round 8: p3, k1, repeat to end. Repeat Rounds 5-8 3 (3, 4) more times. Round 9: k2, k2tog, repeat to end. Round 11: k1, k2tog, repeat to end. Round 13: k2tog, repeat to end. For Child/Teen and Lg. Adult sizes, Round 14: k2tog, repeat to end. For Adult size, Round 14: k2tog, repeat to last st, k1. Cut yarn 6-8 inches from last stitch. Thread the tail through the remaining stitches. Pull tight. Sew ends under. A scarf will require about 2 more skeins of the same yarn. 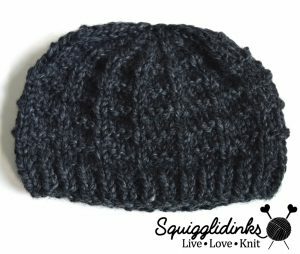 Use the same needles, but you’ll knit it flat as if you were using straight needles. Row 4: *k3, p1, repeat from * to last 3 stitches, k3. Repeat these 4 rows until scarf is nearly desired length. Repeat rows 1 and 2; bind off on row 3.